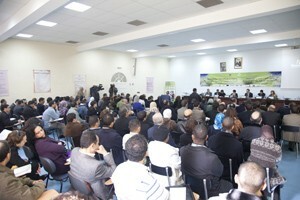 Following a series of events in Jordan, Tunisia, Egypt and Lebanon the “YouthXChange in the Mediterranean” initiative was launched in Rabat, Morocco, on 4-5 February 2011. The two-day event was jointly organized by CMED and MIO-ECSDE/MEdIES in the general framework of UNESCO/UNEP’s initiative “Youth X Change“. The “YouthXChange in the Mediterranean” initiative targets a mixed audience of youth, trainers, teachers, as well as media and local authorities. The Moroccan event included an academic event and an experiential train-the-trainer seminar for youth associations and teachers.